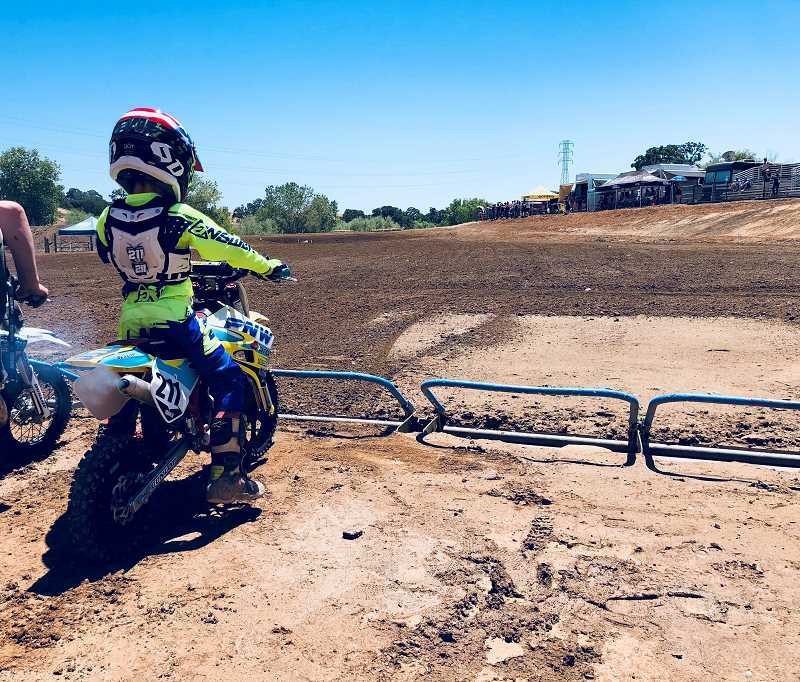 River Mill Elementary School student Parker Trujillo soon will race on the same course used by professional motorcyclists. 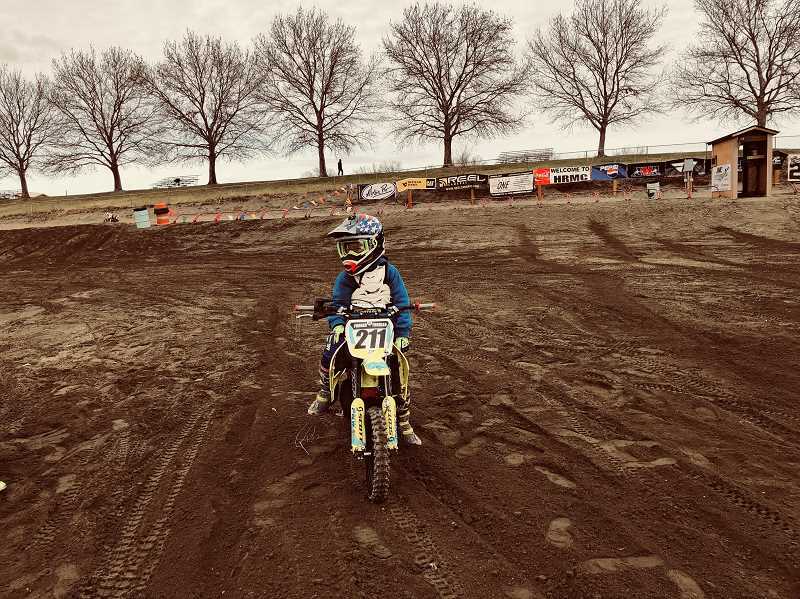 Trujillo, 8, will participate in the KTM Jr. Supercross on Saturday, March 30, in Houston. The event allows youth riders to race during halftime at a professional competition and will be televised on NBC Sports. In its 17th year, the KTM Jr. Supercross brings athletes from across the world together to participate in a three-lap race. They must be 7 or 8 years old, have at least one year of previous racing experience and be in good academic standing. The event in Texas features 15 riders who are chosen from a random drawing of a qualified pool of applicants. This year, there also will be KTM Jr. Supercross events in Arizona, California, Minnesota, Georgia, Indiana and New Jersey. About 3,000 young racers will participate. The top participants from these races will compete in a final race in Las Vegas on Saturday, May 4. Parker said he is excited to participate in the Supercross. "I saw it on TV. I watch the races every Saturday, and it looked really fun to do," he said. Both Parker and his older brother, Benson, ride motorcycles, and their parents encouraged them to get involved with the activity in order to spend more time outdoors. "My brother started and it looked like fun, so I tried," he said. Parker said he is looking forward to meeting new people at the event, adding that the best part will be "racing against other people I don't even know yet." Though this will be the first time Parker has participated in the Supercross, he's not unfamiliar with races. Last year, his accomplishments included earning first and third place finishes in the AMA Mini Warrior National at the Horn Rapids Motorsports Complex in Richland, Wash.; third place in the LL MW Qualifier at Eugene MX Park in Junction City; fourth place in the Road to Mammoth at Eugene MX Park; and eighth and ninth place finishes in AMA Amateur Day at the Washougal MX Park in Washougal, Washington. In 2017, he earned first place wins in the LL NW Qualifier at the Horn Rapids Motorsports Complex and the LL NW Qualifier at the Albany MX in Albany, and an 11th place finish in the LL NW Regional at the Washougal MX Park. Parker said a race in Mammoth Lakes, Calif., this past summer, was his favorite. During the event, he took 19th and 27th places. "The track was super cool," he said. "There was one hill that was really long, and you had to go up for a long time." Parker also participates in the PIR League, which frequently hosts competitions at the Portland International Raceway. "You get to race every week, and it's fun to not have to wait to race," he said. He's been racing since he was 5 and is interested in doing so for many years to come. He often rides on the track in his backyard in order to train for bigger races and appreciates seeing his hard work pay off. "You can feel yourself going past the other people in the race. It feels good to pass other positions," he said. "I rode more and got faster. I want to keep riding and racing."